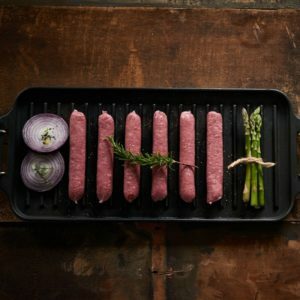 Whether you’re looking for traditional barbecue sausage winners such as pork or steak, or to mix it up with great sausage options like mango and chilli or piri piri, it’s all here for you. 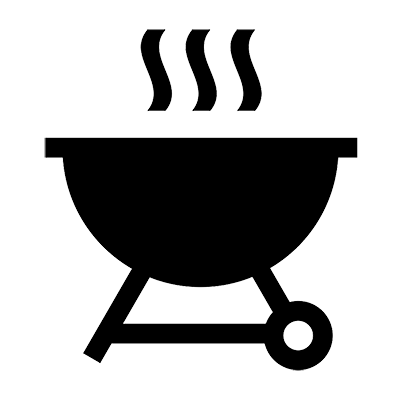 Perfect for everyday meals, grilled, fried or done in the oven, or just right for the barbecue. Bring on the sunshine! Hungry? Sounds like a case for jumbo sausages. These are just the business. 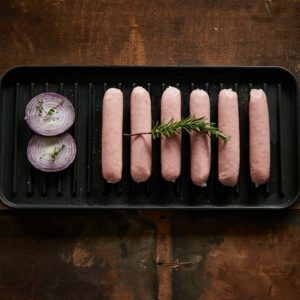 These classic sausages are handmade by our skilled butchers on our premises. 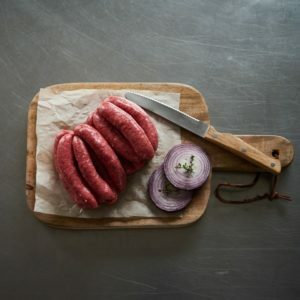 Beautiful venison sausages using lean meat with tonnes of flavour. All our sausages are made on our premises by our expert butchers. 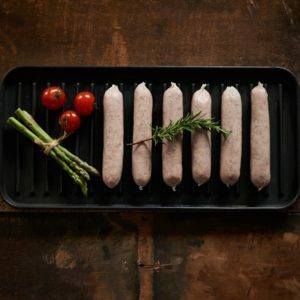 Traditional cumberland sausages made on our premises by our skilled butchers. Brilliant in a sausage casserole. 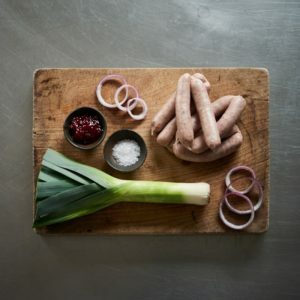 The classic pork and leek combination. Made by our skilled butchers and perfect grilled, fried or cooked in the oven. 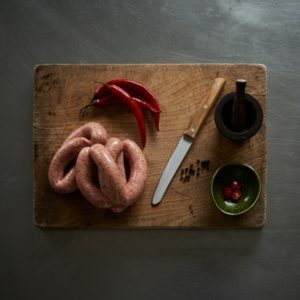 Lovely spicy pork sausages good on their own or in a sausage casserole or cassoulet. 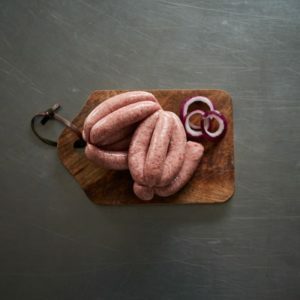 These, like all our sausages, are handmade in-house by our skilled butchers. 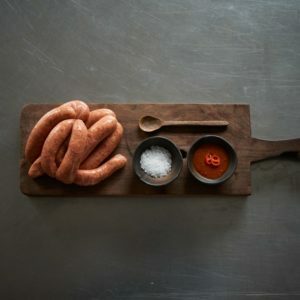 Our mango, chilli and pork sausages bring together a fantastic combination of flavours, with the sweetness of the mango working brilliantly with the spice of the chilli.